OrangeScape Trial Studio uses OpenID. 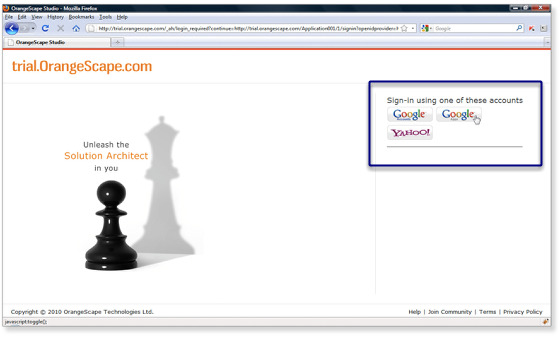 If you already have a Google account, Google Apps account or Yahoo account, you can log into OrangeScape Trial Studio by visiting http://trial.orangescape.com. Want to learn about OpenID? Click here. 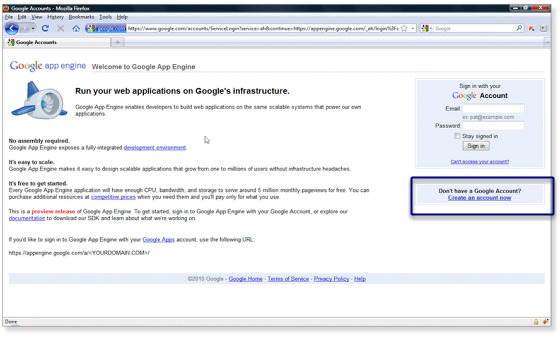 Now that we have access to OrangeScape Trial Studio and Google App Engine, let's create an application on Trial Studio and Google App Engine.